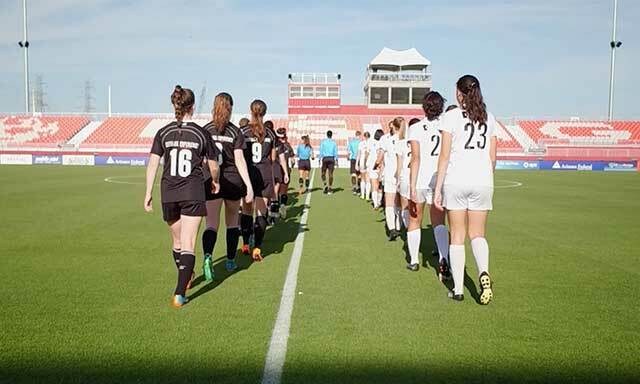 The 2018 USL Experience hosted by Phoenix Rising FC created opportunities for young athletes to live the pro life while realizing their dreams and goals are close within reach. In April 2018, 72 of the Super Y League’s top youth athletes descended on Phoenix for the 2018 USL Experience. The weekend event, which was hosted by Phoenix Rising FC, gave the promising young stars an opportunity to live the pro life for three straight days. No other youth league in North America offers an opportunity for youth players to live the life of a pro in top-quality professional environments. The first day included photo shoots, media interviews, and goal celebrations. On day two, they took to the pitch to train and scrimmage on the Phoenix Rising training field under the watchful eye of coaches and scouts from the college and pro ranks. The final day included live competition and a behind-the scenes-look at a USL game day environment. Before the camp, all 72 of the attendees had aspirations to play professionally and on a national team. They’re much closer to that dream than they even think they are. The USL Experience creates opportunities for young athletes from around the country to experience firsthand the rigorous routines professional athletes endure daily both on and off the field, while also demonstrating that the young athletes’ dreams and goals are close within reach.